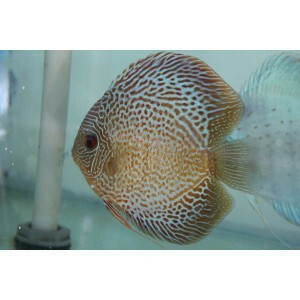 Shipping costs are included in wild Discus Price! Wild Green Discus is a rare discus fish found in the rivers of Peru. These fish are only available during certain times of the year when the rivers are shallow. 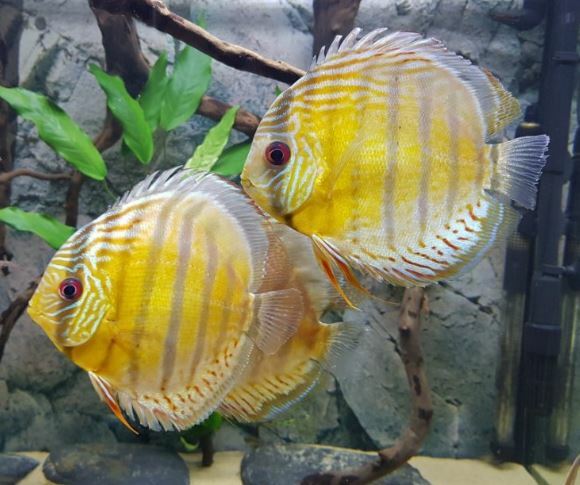 We have partnered up with one of the few Peruvian Government Approved discus fisherman to bring you these rare high quality discus. Each fish is hand picked to ensure a perfect shape. All the fish are quarantined for several weeks before we put them for sale. 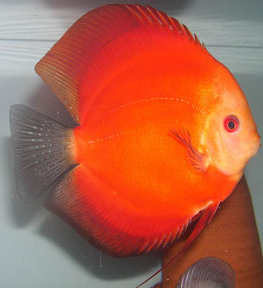 We are one of the few discus distributors in the USA that are licensed and able to get these rare fish. These fish are fully compatible with domestic discus. They require the same water parameters and eat the same foods. We currently feed them DiscusGuy premium flake food and freeze dried tubifex worms. These fish are very friendly and will eat right out of your hand.